A few times a year, my wife and I travel halfway across America to visit our son in St. Louis. 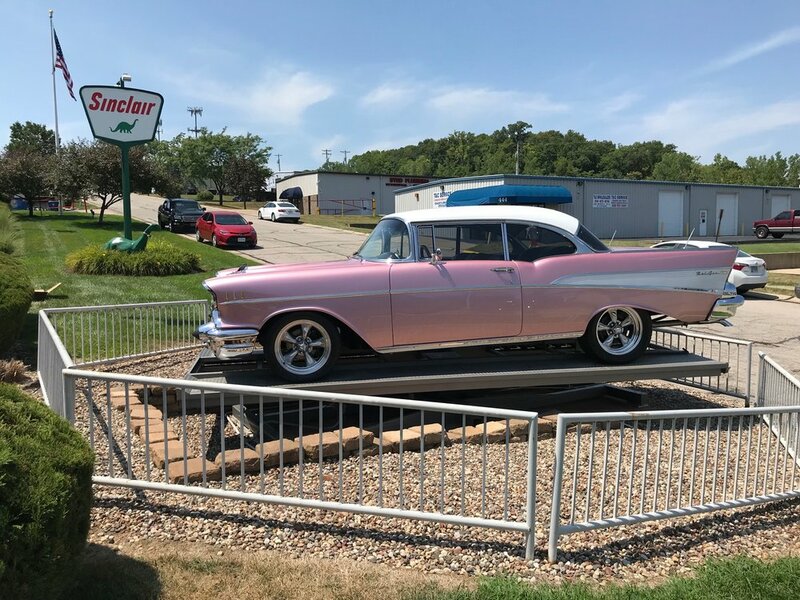 Our trips usually include a visit to at least one classic car dealership, and this summer's highlight was Fast Lane Classic Cars in St. Charles. Before we even reached the first showroom, shining like a beacon in front of the building was a 2004 replica of a 1935 Auburn Speedster convertible. While the car itself was stunning, the $98,000 price stag stood out as well. I wouldn't be in a hurry to sell this baby, either! A wide view of one of Fast Lane's fantastic showrooms. 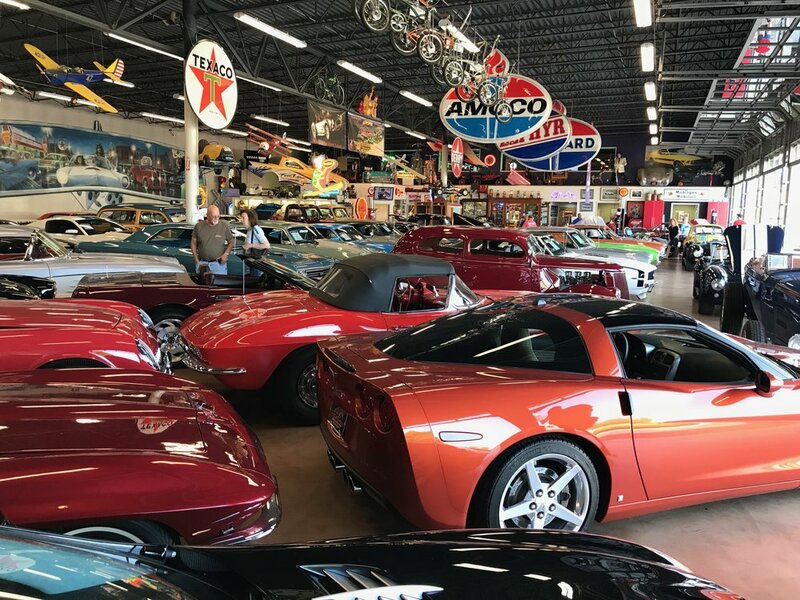 Where many classic dealers operate under a consignment model, Fast Lane is unique in the fact that they own most of the cars they sell. And, boy, do they have some beauties for sale. From the rotating metallic-lavender '57 Chevy outside, to the '09 Lotus my son was drooling over, and all the domestic and foreign classics in between, I haven't said "Wow!" this many times in recent memory. A '57 Chevy rotates between the two showrooms at Fast Lane classic cars. A 2009 Lotus is one of many foreign wonders inside Fast Lane Classic Cars. A salesman told us the dealership had been in business for 24 years, and in that time, had expanded from one building to four: two showrooms, a repair shop and a detail shop. He also explained that every car sold must be road worthy before the new owner may drive away with it. "No problems make happy customers," he joked. The $300,000 price tag on a 2006 Ford GT turned my head, but what really drew me in was a yellow VW Beatle that had been shortened to the point where my 6-3 frame didn't stand a chance at fitting behind the wheel. The salesman told me the only way he'd successfully entered was through the passenger's side. 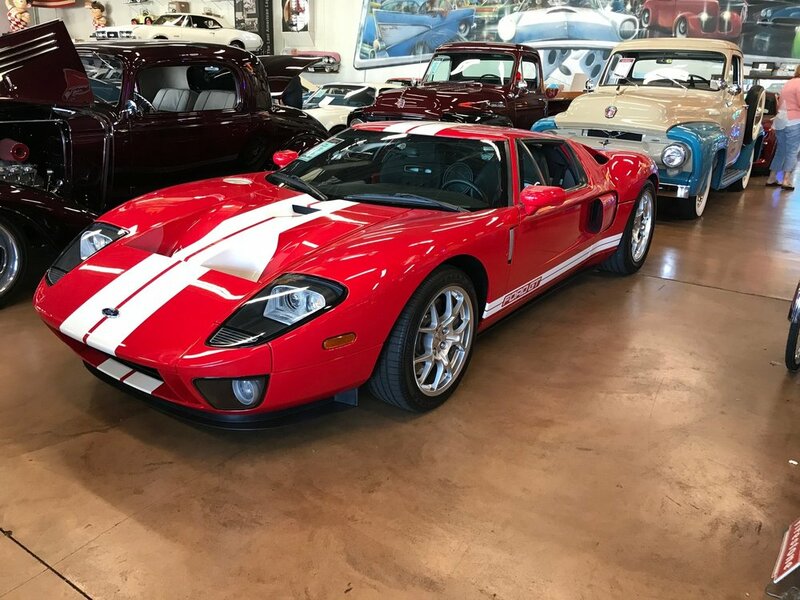 2006 Ford GT with a hefty price tag of $300,000. 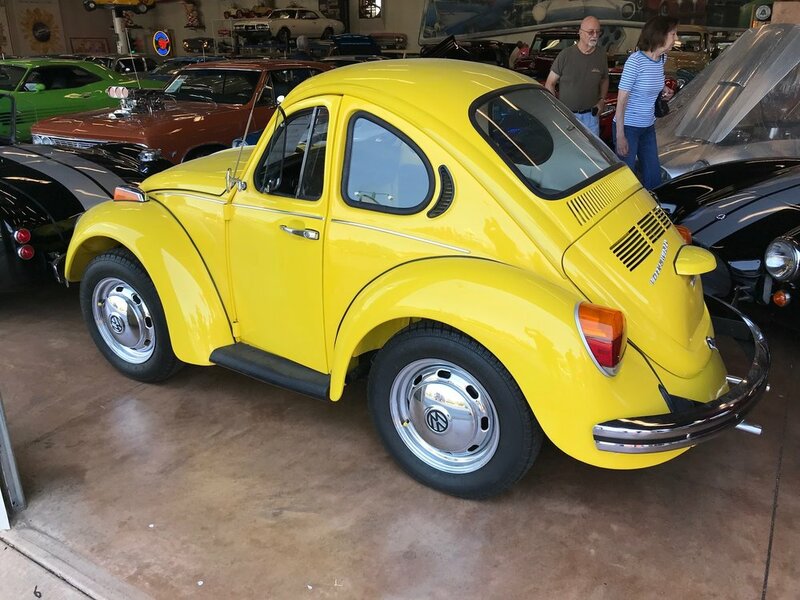 A 1974 VW Bug with shortened, back seat removed. I'm still not sure who can drive this! As we walked out of Fast Lane, I saw yet another unique treasure. "That's a Packard!" I thought as I walked toward an elegant black coup. "A new Packard???" Someone had converted a 1982 Buick Riviera into a Packard. I've been thinking about this car since I left, enough to merit a call to the dealership to learn a little more. Stay tuned for another post on this one. Front view of this custom Riviera Bayliff Packard Sport. The rear end of this custom Riviera Bayliff Packard Sport.